Priya Sreeram, blogging at Honest Cooking, uses leftover rice to make adai (crisp lentil and rice pancakes), a traditional southern Indian breakfast spiced with a little chilli and ginger. 5.... Unfortunately, this bacterium survives cooking, especially if the rice is cooked at or below 212°F (100°C) - as is the case if the rice is boiled in water. 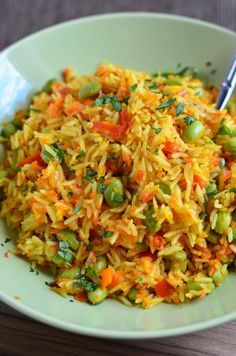 If the rice is then slowly cooled and stored at room temperature, the bacterium germinates, and might produce enterotoxins which in turn cause food poisoning. These remain in the rice, even after it's been reheated. Precooking and dehydrating rice is a great way to make flavorful and fast cooking rice for trail meals. Instant rice adds very little nutrition or flavor to backpacking meals and regular long grain rice takes too long to cook on the trail, so before I leave for a trip I cook white or brown long grain rice in broth and then I dehydrate it. Freezing cooked brown rice flat in freezer bags makes it easy to store. 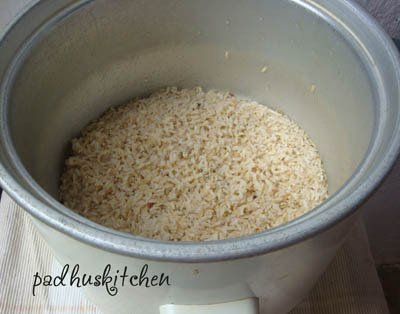 This method also helps the rice reheat quickly straight from the freezer without thawing, which keeps it from becoming mushy.